It is critical to consider lighting when designing a NOC with A/V solutions. 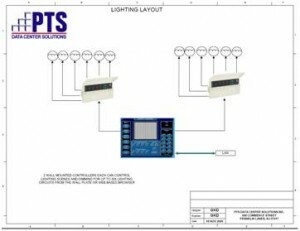 PTS develops lighting plans and provides lighting layouts ready to be implemented by client lighting specialists or PTS personnel. Your critical alerts & alarms must propagate to your staff without effort. If large screens need to be viewed by staff to work cohesively to resolve issues, proactively monitor systems & gain the benefits of cross training then PTS engineers line of sight based on a calculation of distance, resolution, font size & elevation to determine correct screen sizes. Our tools allow you to effectively control your operations and clearly display the tools you need to effectively communicate with and present to clients, investors, branch offices, and vendors. Our systems are inclusive of your needs today, but will scale without sacrifice to help you maintain your competitive edge. 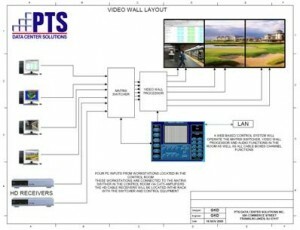 PTS designs its systems for low maintenance and with intuitive simplistic controls so every meeting and presentation will go as planned and you can maximize the return on your investment.